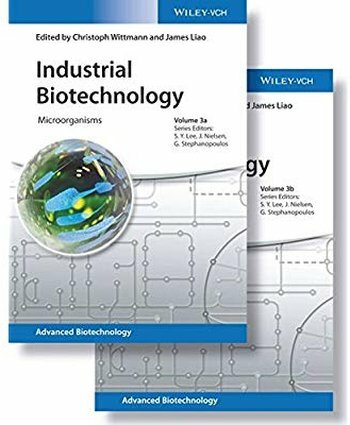 The latest volume in the Advanced Biotechnology series provides an overview of the main production hosts and platform organisms used today as well as promising future cell factories in a two volume book. Alongside describing tools for genetic and metabolic engineering for strain improvement, the authors also impart topical information on computational tools, safety aspects and industrial-scale production. Following an introduction to general concepts, historical developments and future technologies, the text goes on to cover multi-purpose bacterial cell factories, including those organisms that exploit anaerobic biosynthetic power. Further chapters deal with microbes used for the production of high-value natural compounds and those obtained from alternative raw material sources, concluding with eukaryotic workhorses. Of interest to biotechnologists and microbiologists, as well as those working in the biotechnological, chemical, food and pharmaceutical industries.The latest volume in the Advanced Biotechnology series provides an overview of the main production hosts and platform organisms used today as well as promising future cell factories in a two volume book. Alongside describing tools for genetic and metabolic engineering for strain improvement, the authors also impart topical information on computational tools, safety aspects and industrial-scale production.